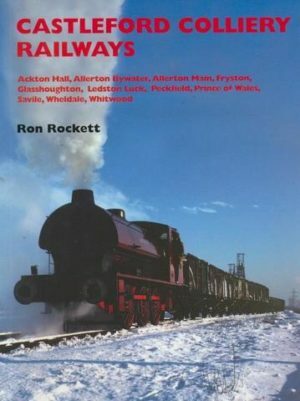 The sixth in the regional series of books examining the industrial railways of England, Wales and Scotland, this volume covers the former Ridings of Yorkshire, from the Pennines on the Lancashire county boundary in the west through to the Humber Estuary. The Yorkshire and Humberside region was once rich in steel mills around the Sheffield area, all having incredible industrial railway interest. The vast railway systems serving the British Steel industry and iron ore workings around Scunthorpe will also be examined along with the locomotives and railways once so widespread around this rich industrial region. The widespread coal mining activities that strongly influenced Yorkshire throughout the twentieth century will be documented, without overlooking the coal by-products complexes, including Orgreave ¬- infamous for industrial unrest during the years of the Thatcher government, when many coal mines and their supporting railways were rapidly dwindling in number. A former peat bog railway on the Swinefleet moss near Goole, water treatment plants around Leeds and Bradford, stone quarries in North Yorkshire, a tile works by the Humber Bridge and the oil refineries around South Killingholme will all contribute to the rich history of industry in the area. With informative captions and historical photographs, mostly in colour. 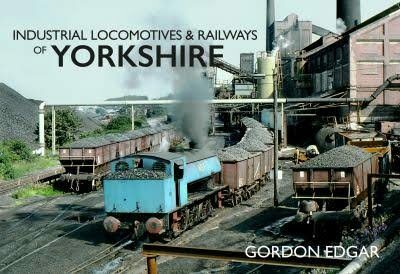 Gordon Edgar tells the fascinating story of the industrial locomotives and railways of Yorkshire and Humberside.